Preaching about the cross of Christ is one of the greatest privileges and responsibilities any preacher can have! The four Gospel writers who wrote about the cross of Christ and the events leading up to it, did so in their own unique way. Each interpreting the events through the lens of different Old Testament Scriptures and each emphasising different themes. Based on his own sermons preached over a number of years at All Souls Church in London, Christopher Wright explores the rich variety and lets the four Gospels preach the Gospel in their own way. This is an excellent resource for preachers, which is further enriched by the final chapter that provides a personal commentary on how Wright prepared each of the sermons. 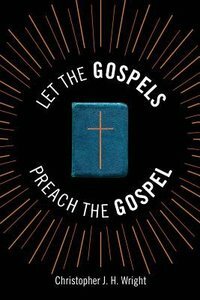 About "Let the Gospels Preach the Gospel: Sermons Around the Cross"